Be the first to share your favorite memory, photo or story of Jacunda. This memorial page is dedicated for family, friends and future generations to celebrate the life of their loved one. 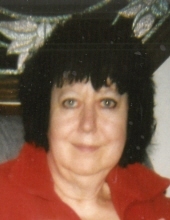 Jacunda M. Nanez of Hartford age 76, passed away on Sunday, September 2, 2018. She was born on June 30, 1942 to parents Richard and Patronella (Knetzger) Doran. Jacunda enjoyed collecting Beanie Babies and watching game shows like Wheel of Fortune and Family Feud. In her earlier years she enjoyed making quilts for family and friends. She especially loved spending time with her granddaughter and great-granddaughter. Jacunda is survived by Harold Plonsky; son, Andres R. Nanez; granddaughter, Savannah Nanez and great-granddaughter, Kiara Tucek. The family would like to thank Harry for his many years of care and support of Jacunda. Family and friends are gathering in remembrance of Jacunda at Independence Park in Hartford on Sunday, September 16 from 1:00 PM - 5:00 PM. To send flowers or a remembrance gift to the family of Jacunda M. Nanez, please visit our Tribute Store. "Email Address" would like to share the life celebration of Jacunda M. Nanez. Click on the "link" to go to share a favorite memory or leave a condolence message for the family.